New Delhi, March 29: Reliance Jio is reportedly acquiring Haptik -- one of the world's largest conversational Artificial Intelligence (AI) platforms -- for over Rs 200 crore. A report in Inc42.com late Thursday claimed that the transaction is expected to be completed this week. 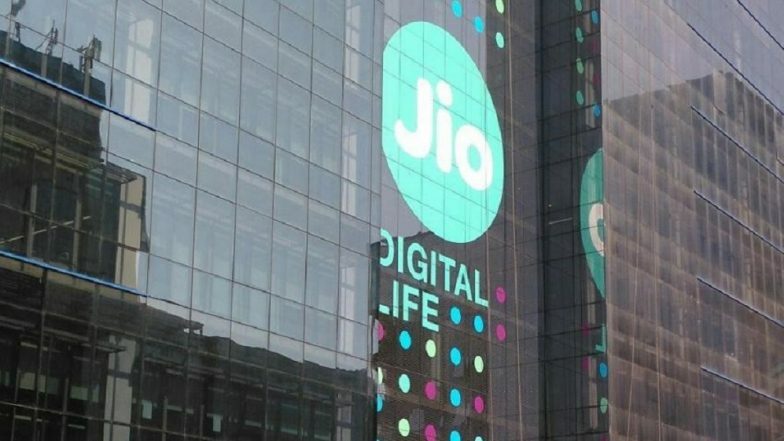 Citing a company document, the report claimed that "Reliance Jio Services Ltd and Haptik founders Aakrit Vaish and Swapan Rajdev have signed a Business Transfer Agreement". Reliance Jio Continues Its Dominance Over Airtel, Vodafone Idea; Adds 85.6 Subscribers in December. When contacted, Haptik declined to give an official response on the report. Jio was yet to comment on the development. Having grown 10 times in revenue in just one year, Haptik's partners and clients include Coca-Cola, HDFC Life, Samsung, Edelweiss Tokio, Goibibo, Amazon Pay, ClubMahindra, ICICI Bank and Tata Docomo, among others. More than 50 per cent of Indian retail companies will be operating on AI by 2020, said PeopleStrong, a Software-as-a-Service (SaaS) HR technology and solutions company. According to an Accenture analysis, AI has the potential to add $957 billion to India's economy in 2035.